These are part of our new range of workshops designed for people with existing programming experience being offered in 2019. Clare recently teamed up with her old Melbourne Bioinformatics colleague and workshop convenor, Juan Nunez-Iglesias, to join the faculty of the 2nd Asia Pacific Advanced Scientific Programming in Python held in Canberra over 20-27 January (the first being hosted by Melbourne Bioinformatics in 2018) to teach these skills. It’s a very competitive course with student entry being merit-based; this year there were around 180 applicants, of which only 30 were accepted. All had existing programming skills and this workshop offered them training in advanced idiomatic Python, data visualisation and tidying, advanced Numpy, code testing, code packaging and documentation, testing, debugging, git/GitHub, and low- and high-level optimisation. The school was a great success once again, receiving extremely positive feedback from the students. Once upon a time, making plots in Python meant Matplotlib. But things have changed! There are now a huge number of libraries for visualisation in Python, with all kinds of features – beautiful styling, data-friendly colour schemes, interactivity, specialised plots, online hosting, and more. Is it worth the effort of switching from your current tools? If you are just getting started, where should you start? These libraries also integrate with the ever-popular Jupyter Notebook, where you can also create interactive visualisations to explore your data. Enrolments are now open for these new courses – book now! Clare began life in computational physics before moving into genomics. She is now a researcher at Melbourne Bioinformatics at the University of Melbourne, with a particular interest in algorithms and in the application of machine learning to genomics. 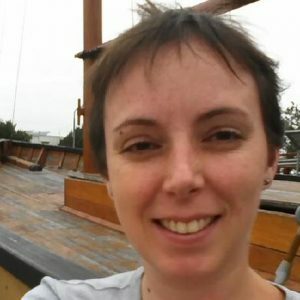 Clare has a senior role here at Melbourne Bioinformatics as Lead, Training Program and she also coordinates and teaches in Algorithms in functional genomics (Bioinformatics) as part of the Masters of Science (Bioinformatics) offered through the Faculty of Science. When not involved in training, Clare is involved in several key subscription projects through Melbourne Bioinformatics, including one with Austin Health on Machine Learning for Prediction of Risk in Renal Transplantation (2017-2019).